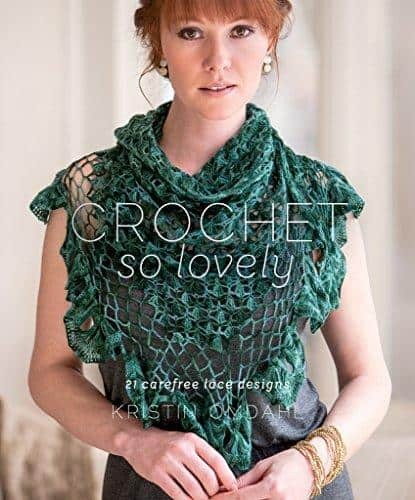 “Crochet So Lovely” is by Kristin Omdahl and was published in 2014 by Interweave Publishing. I have followed Kristin for years. 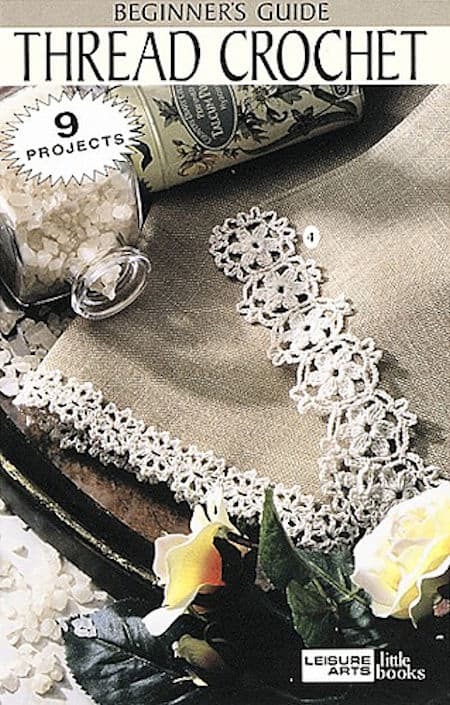 She makes the most extraordinary lace projects. Just beautiful! The book consists of 135 pages and includes 21 projects. I was able to pick my three favorite projects in the book and you will see how incredible. This Trapeze Tank is gorgeous in this beautiful ocean aqua colorway. 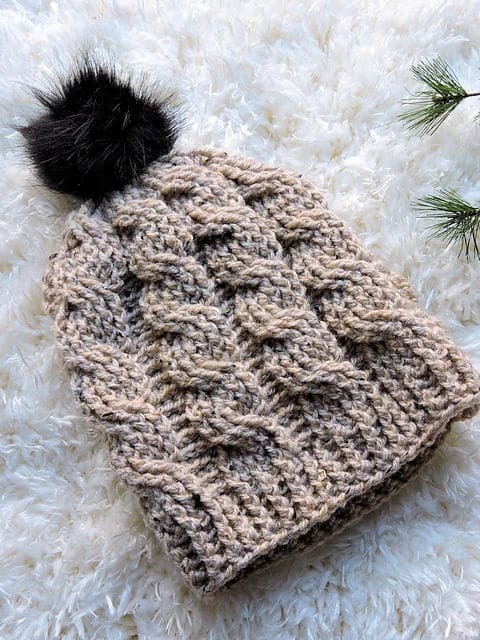 It’s made in an extraordinary 100% silk yarn from Alchemy Yarns of Transformation. I’ve seen hanks of it, but this is the first time I’ve seen a finished project. 100% silk! It’s so wonderful. My favorite part is that flowing handkerchief hem. The Simply Sparkly Tank is made in three different yarns from Stacy Charles. I love the classic lines of this tank. The beautiful hip shaping is so figure flattering. 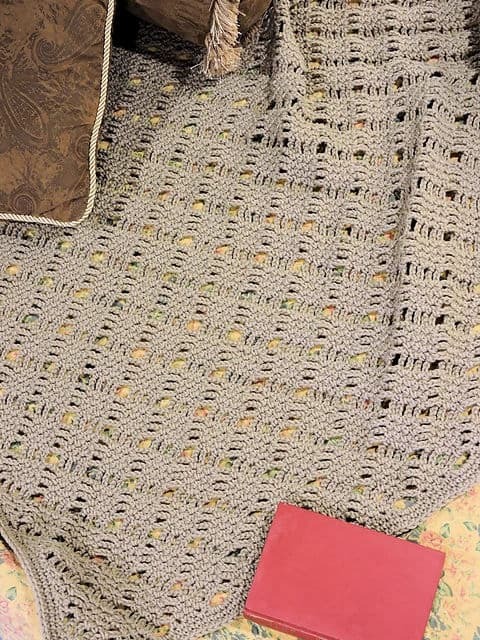 The Rosetta Wrap Sweater is a gorgeous laceweight design that’s perfect for light layering. I wear tank tops often, but sometimes I would like a little extra and this is just perfect for me. If you can’t wait for the drawing, the book is also available on Amazon. One name will be chosen randomly from all names entered prior to close at 11:59pm (CST) on April 29, 2019. Sign in through Facebook or with your email address to enter. Choose any of the other options for additional entries, including a daily bonus entry. Good luck, everyone! 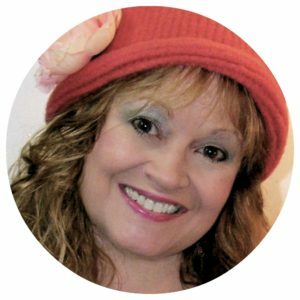 This giveaway is for two books from Leisure Arts in their “little books” series. 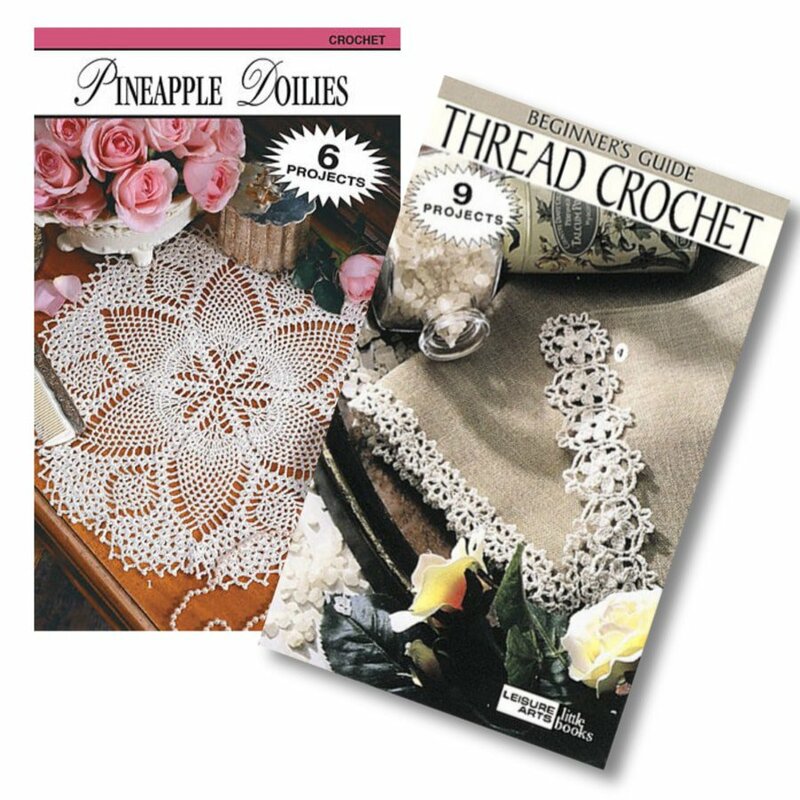 The first is “Pineapple Doilies”. 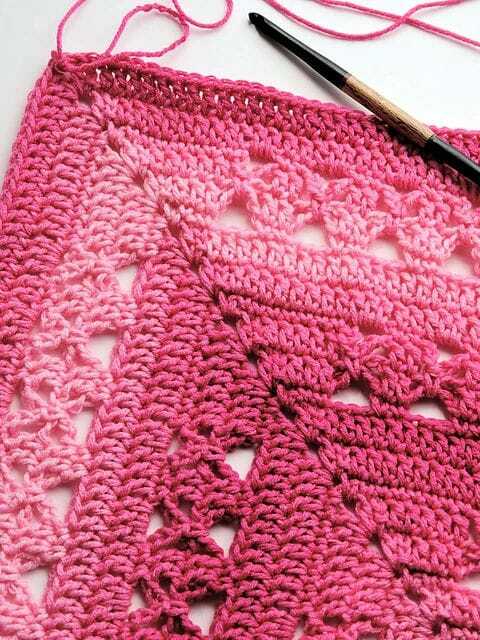 This book includes 6 patterns from a variety of designers. 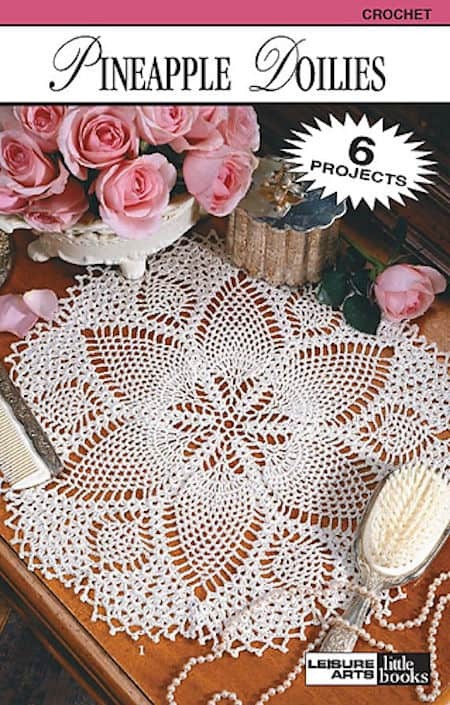 My favorites are the oval shaped doilies. They work well for table centerpieces and across the top of a dresser. 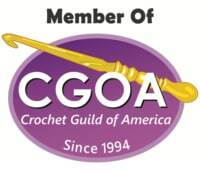 The second book, “A Beginner’s Guide to Thread Crochet” also includes a variety of designers. There are nine projects in the book, including the lovely edging on the cover, a clothespin angel, a hair bow, a bookmark and a set of coasters. There is even a pullover lace top. Such a variety in this one! One name will be chosen randomly from all names entered prior to close at 11:59pm (CST) on April 22, 2019. Sign in through Facebook or with your email address to enter. Choose any of the other options for additional entries, including a daily bonus entry. Good luck, everyone! For a couple of years now, visitors here have been requesting that I provide ad-free PDFs of my patterns. Some of you like to have the convenience of a printer friendly pattern, formatted without all the extraneous things you typically find on websites. Some of you just want to help out the designers and show your support by buying the printer friendly PDFs. I’ve listened and I’m now going through my patterns to provide this service to you as one of my 2019 goals. I’m starting with the 2018 patterns. 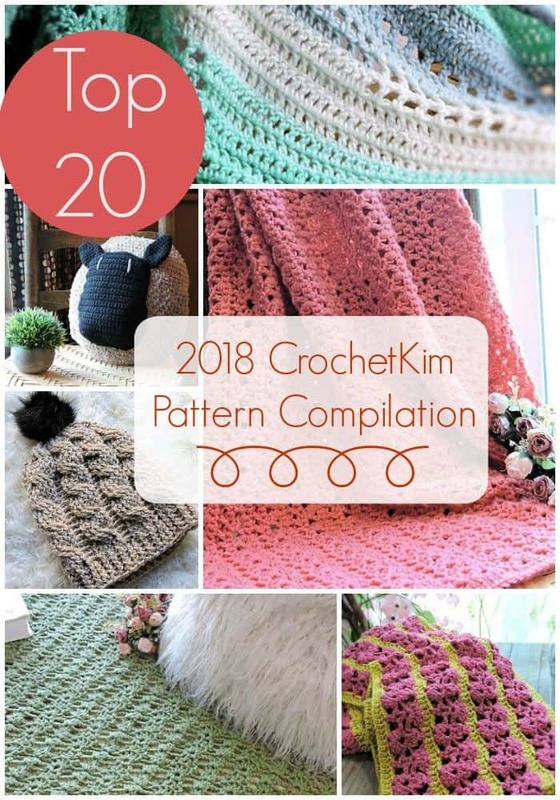 As a special feature to you all, I’m offering a compilation ebook of my Top 20 patterns! For the month of January, you’ll be able to purchase my Top 20 patterns for only $10.99! On February 1, the price will be $15.99. Here are just a few of the popular patterns you will have handy to be printed out easily and cleanly. 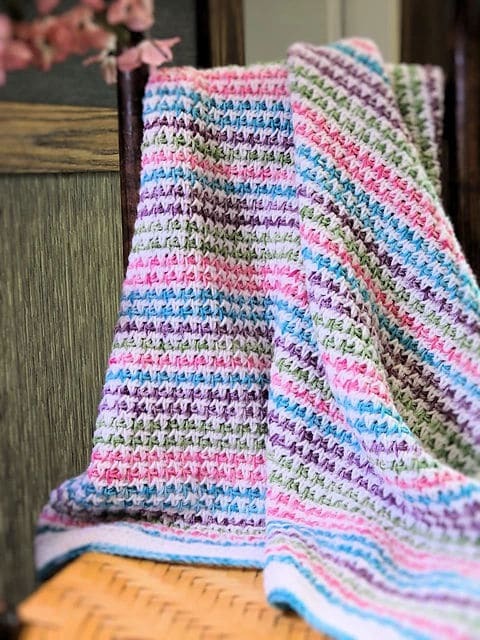 Be sure to sign in when purchasing so they will be in your Ravelry library! THREE NAMES will be chosen randomly from all names entered prior to close at 11:59pm (CST) on April 15, 2019. Sign in through Facebook or with your email address to enter. Choose any of the other options for additional entries, including a daily bonus entry. Good luck, everyone!